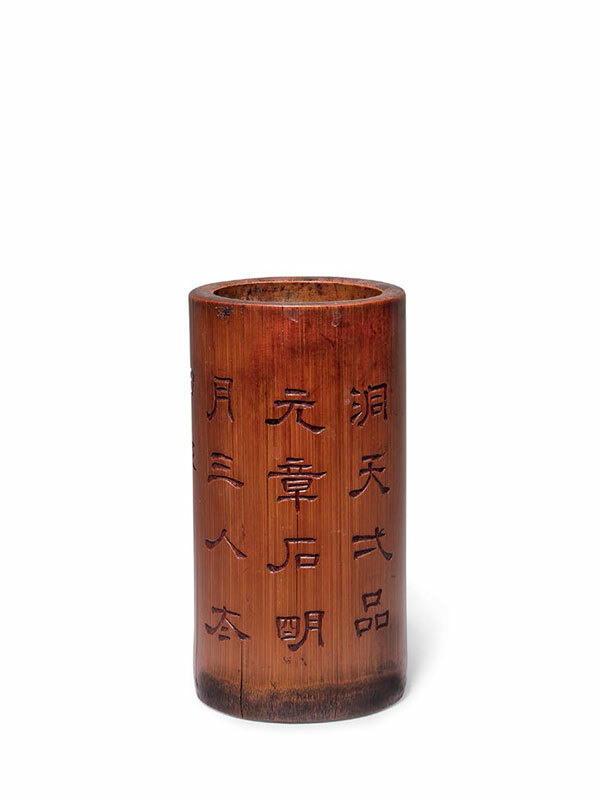 A cylindrical brush pot carved from a section of bamboo, supported on a short, concave base. The side is incised with an inscription of 16 Chinese characters in seal script, including 14 large and two small characters. The larger characters consist of two lines of a 7-character poem. The two smaller characters are the name of Bo Dong, assumed to be the calligrapher or carver of this piece. The bamboo has acquired a dark amber colour patina.